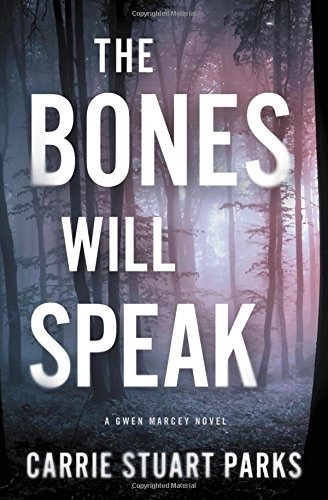 In “The Bones Will Speak” forensic artist Gwen Marcey is thrown into tracking down a serial killer.when her dog brings home a human skull, it leads her to a cabin in the woods, where a young girl is found clinging to life,and nearby a grave with dead bodies buried. Gwen realises there is a serial killer loose in their community and it soon becomes apparent that the killer has a score to settle. In her search for the serial killer , she is led back in time to a neo-Nazi bombing in Washington state, a bombing with only one connection to Montana and its Gwen! What’s the connection? Gwen finds herself in a battle against time, she will have to use all of her forensic skills to find the killer before he can carry out his threat to destroy her and her daughter. This entry was posted in Carrie Stuart Parks and tagged Crime Thriller on September 26, 2015 by lollyrugs.